Lying in her hospital bed, former US Marine Kristie Ennis, wanted to give up on life. At 21, she had suffered life-threatening injuries in Afghanistan where she lost her left leg after her helicopter was brought down. Six years down the line, after going through over 40 surgeries, she has learnt not only how to deal with such adversities but is also on the verge of scaling the highest mountain in every continent. “I’d be lying if I told you I didn’t think about giving up. Being injured at such a young age makes you think that life is over but one day my father came to me and told me that I had to live. He told me that if I didn’t survive, I would have done the enemy a favour. That’s when I turned a corner and decided to work hard on my recovery,” she says. But for Ennis, a medal wasn’t enough, as she was looking for a bigger purpose. She had joined the army at 17 to protect people who couldn’t protect themselves. That was why after getting out of hospital, she decided to do something to inspire young girls with disability. Ennis felt the mountains healed her from within. This is why in 2017, she decided to climb Kilimanjaro, the tallest mountain in Africa. 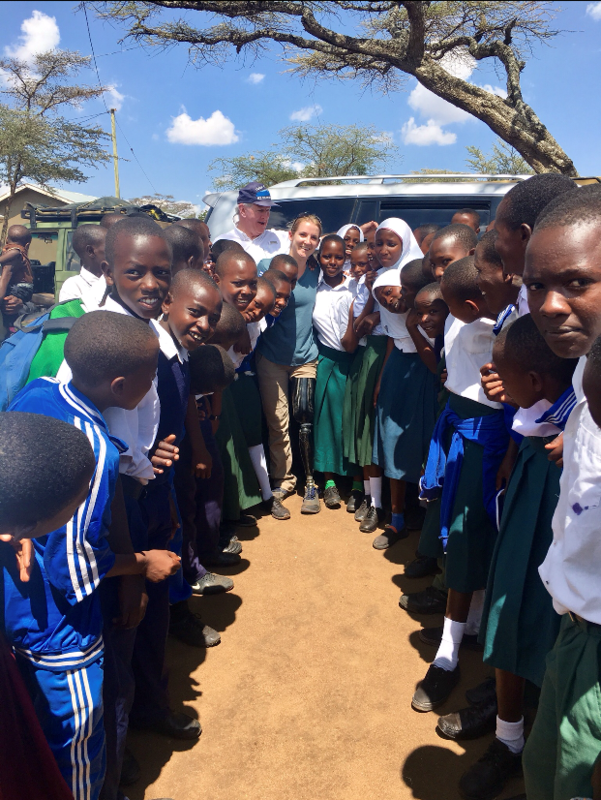 She climbed the mountain to raise funds to help the people of east-Tanzania get clean water. After climbing Kilimanjaro in March 2017, Ennis started doing her research and then made a plan to climb the seven summits. Since then she’s successfully reached the top of Carstensz Pyramid, Mount Elbrus and Mount Aconcagua. She also attempted to climb Mount Denali but had to return back due to bad weather. Ennis standing tall in the summit of Aconcagua. Ennis also visited Nepal in 2017 to trek to Everest Base Camp. “It was an unreal experience. 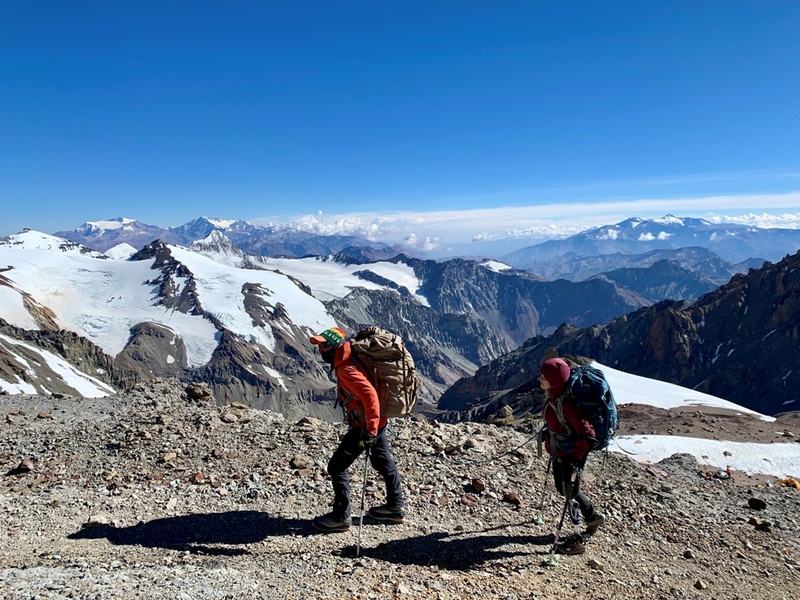 I had a general idea I would do seven summits but I had no idea what to expect from Everest. I didn’t know if I’d be capable,” she adds. Ennis is currently on her way to Everest Base Camp along with her team. Her expedition organiser is HST Adventure whose expedition leader Christopher Pollak Paul has climbed two of the four mountains with Ennis. “Chris is great. He’s the perfect guy to climb with. He’s been here for a long time and is quite experienced even though he hasn’t climbed Everest. Ennis shares that she’s done with her preparation. 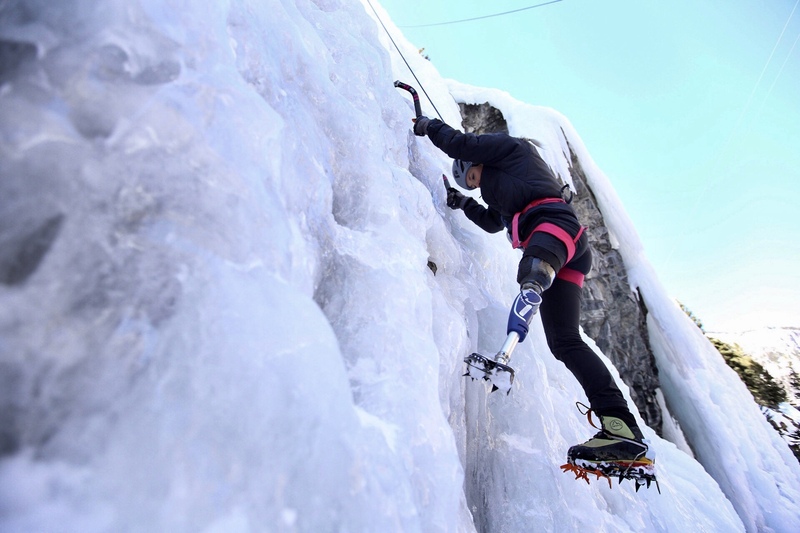 Her main concern now is if her prosthetic leg will function above 8,000 metres. She adds that she needs to be strong in a different way which is why she has also been working on risk management. Ennis mentions that all this wouldn’t be possible without her parents. She shares that both her parents who are former Marines have been amazing and let her live her dream. “My dad is a bit sceptical about me becoming a mountaineer. It really stresses him out but my mother is quite cool about it. She gets to boast to her friends about my achievement. Both are supportive in their own way and both are proud of me which is what matters,” she adds. If all things go as planned Ennis will be done with Everest by May 31. 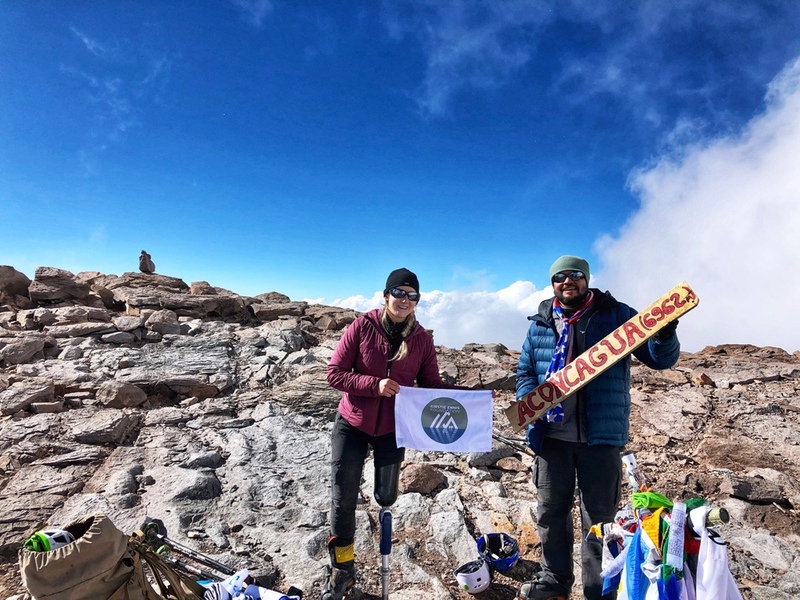 If she is successful, she will be the first woman above the knee amputee to stand on top of the world’s highest mountain. After Everest, only two mountains will remain. Her plan is to be done with those by 2020 and then keep raising funds for different projects. “I’m not going to stop. I want to help a lot of people. Whether it is to do with prosthetics or any other disability I’ll be raising funds for them through various projects,” she adds. Ennis also plans to be the first female amputee to swim across the English channel and also run seven marathons across seven continents in seven days. She wants to show young boys and girls that their life isn’t over after a bad incident. She wants to show that anything is possible if your head and heart is in the right place. She shares that the accident might have been the best things that happened to her because it’s given her a different purpose.